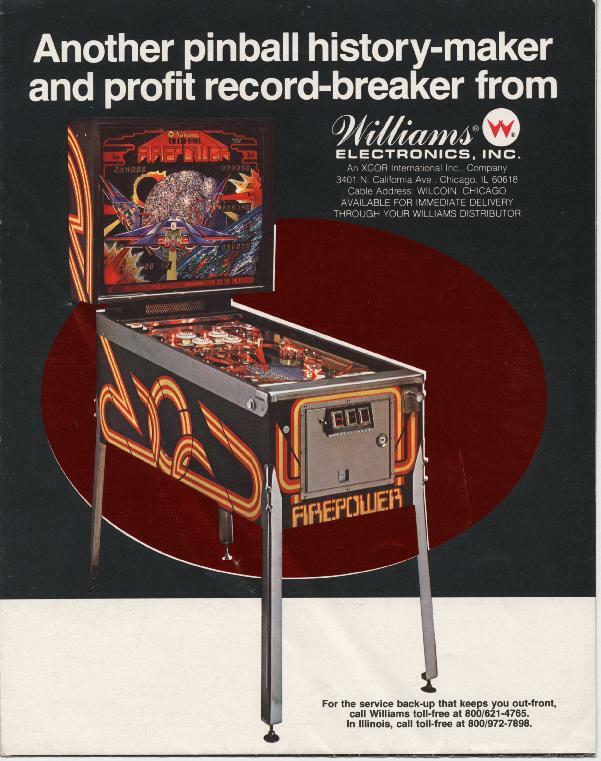 In this, the season of gratitude (which, yes, should be every season), I am moved to remember and give thanks for an awesome gift from a bygone era: the Firepower pinball machine. Imagine the grandeur of unlocking the MULTIBALL function—five balls released at once! The adrenaline! No amount of Swedish fish swimming across the screen could ever compare. I was a freshman in college, and this was the last hurrah of the pinball years. It was already competing with arcade video games. Pacman was arrogant as hell. Firepower was pure. It even talked to me! Its deep, computerized voice said things like, “Firepower,” and “Firepower.” I believe that it even said, “Fire.” Heady stuff. The beloved machine lived in the lobby of my dorm, and I think that I may have been in the minority of girls who liked that machine. My guy friends and I frequently combined Firepower play with mind-altering substance play. This is the point at which I should wax nostalgic about a “simpler time.” This was the time of Reagan and the Talking Heads. Nothing about that seemed simple to me, even though I know that many think of that time as historically halcyon. A little hazy Firepower play took the edge off the fact that there were things called “Young Republicans” running around, poised to start their careers and define the ME Generation by their ME salaries. I may have to write a grant to have one of these installed in my classroom. I will update you on the Kickstarter campaign. I read a blogpost earlier that was addressed to the Freshly Pressed Olympic Selection committee: Dear WordPress…What Am I, Chopped Liver?. I was inspired. In an effort to determine how long I have been blogging, and therefore how many days I have succeeded in avoiding becoming Freshly Pressed (face it; it sounds a bit painful, after all), I found a cool site that does that figuring out for you! What coolness yonder breaks! Go there if you are practicing constructive procrastination! Remember the old days when you had to do some fancy paper-pencil calculation to figure out such irrelevant drivel? I, for one, am offering up a prayer of gratitude for this heretofore undreamed of convenience! Which reminded me of how lucky I am to have an automatic washer, unlike that poor osteoporosis sufferer-in-training above, who delighted in the state-of-the-art wringer machine she received one special Mother’s Day or anniversary. Diamonds, schmiamonds. I am guessing that that wringer action is what being Freshly Pressed is like. This is my response to my friend Princess Rosebud‘s post bemoaning her own tenure as an NFP (Not Freshly Pressed) blogger: make it cool to be NFP! I’m at 631 proud, mediocre blogger days. I have also managed to keep my Twitter following down to exactly 20. That’s some exclusive club, man. Further research led me to this gem, a blast from the past from Le Clown, who has since been Pressed. Good to know that we were, at least for awhile, in good company.